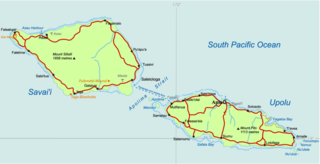 Apia, capital of Samoa situated on Upolu island. Salelologa, main 'township' & ferry terminal on Savai'i island. This page was last changed on 29 July 2013, at 11:29.